Good evening! I'm sorry for my absence this weekend! I have a super yummy holo to show you tonight! (What could be better than starting off your week with a holo?!) I am late to the game and just discovering Emily de Molly - and wow, she has some gorgeous polishes! To be fair, I noticed her before, I just tried to ignore for my wallet's sake. But I will ignore no more! High Distinction is a light gold linear holographic polish with a fantastic formula. 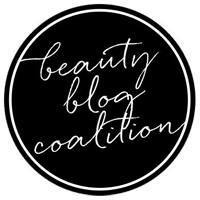 I used 2 coats and no topcoat for the photos and had absolutely no issue with application. Isn't this just amazing? 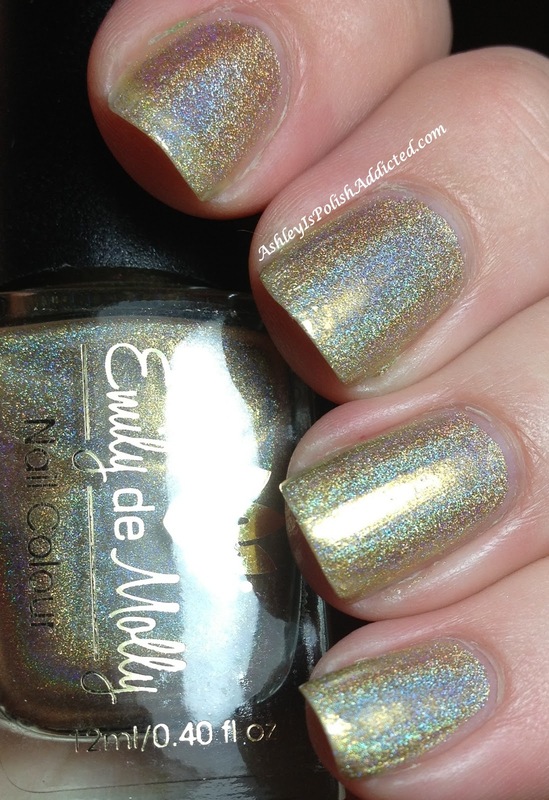 I have one more holo from Emily de Molly to show you soon and it is also drop-dead gorgeous! I looove Emily de Molly. I only have 3 of her polishes but I want more. Most recent snag was Cosmic Forces and it is ridiculously crazy beautiful. I hadn't really noticed her holos yet...but now I want those too! Great swatches!